Cyberlink PowerDirector 16 Ultra is a prosumer video editor that aims to bring every feature under the sun, including multiple versions of the proverbial kitchen sink, to a video editor that is accessible and affordable. It’s largely successful—there’s nothing else in this price range that brings you this many well-implemented features. Accessibility is where it falls a little short. The user interface is not always self-explanatory, and the inclusion of so many features means it can be difficult to find what you want. 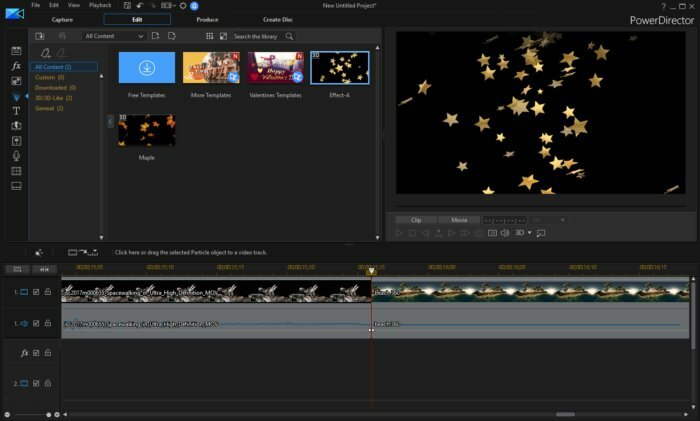 For other prosumer options, as well as mainstream consumer and free video editors that might be simpler, check out our comprehensive video editing software roundup. PowerDirector 16 Ultra was largely focused on expanding features for editing 360-degree video, and it delivers. This latest version includes motion tracking, stabilization, and other stuff the competition hasn't caught up to yet. Cyberlink has built a reputation for aggressively supporting new features and technologies. As a result, this is the best Windows software out there for 360 video. When you first launch the software, you’re given a choice of modes: timeline, storyboard, slideshow, auto mode (which points to the Magic Movie Wizard), and the 360-degree video editor. You can set timeline mode as the default if you’d like. Particle effects are one of many video treatments available in CyberLink PowerDirector 16 Ultra. Timeline mode sticks closely to the script you see in similar software. It comes with an extremely robust set of tools and enhancement features, ranging from lens correction to audio ducking to newly added color matching, which helps you get colors looking consistent across two different videos. But PowerDirector’s inclusion of pro-grade tools and features doesn’t mean it’s totally inaccessible to beginners. 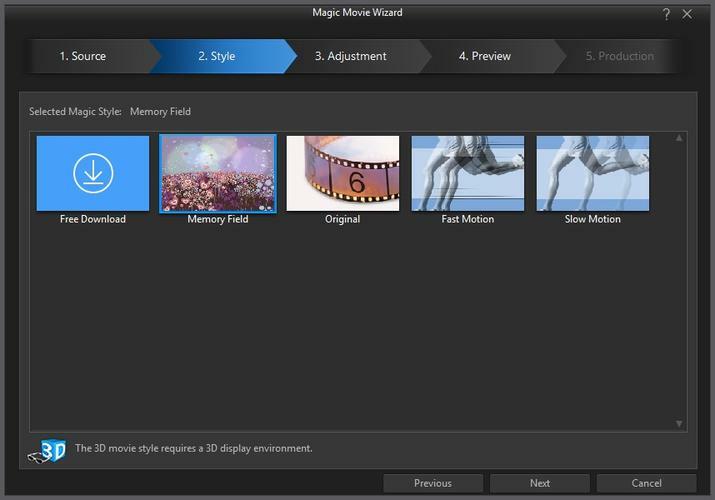 That’s because it offers simpler modes like the storyboard editing and slideshow modes, the Magic Movie Wizard, and the Express Project feature. There are abundant options for splicing something together quickly and easily with the software’s help. That’s a good thing, because the main view would likely be very overwhelming for inexperienced video editors. We would have liked to see a simplified version of the timeline interface, too. PowerDirector 16 Ultra also performs well, and we found that it supported every file format we wanted to use. It doesn’t offer the collaboration or machine learning features present in Adobe’s latest offerings, but for a traditional video editor with a ton of features running on a Windows PC, you could hardly ask for better than PowerDirector 16 Ultra.